A variety of views are found along the riverfront and the Astoria Riverfront Trolley tracks in town. 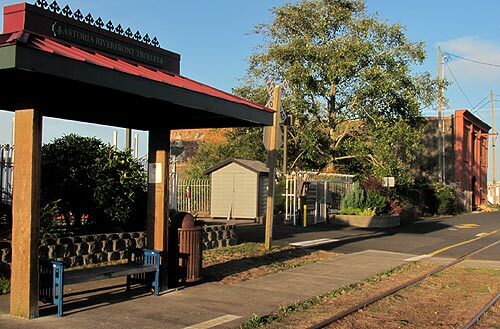 This trolley has become a major north Oregon coast icon for the city, and the tracks and dockside trestles that wander in and around the water - and over it - make for stunning sights. 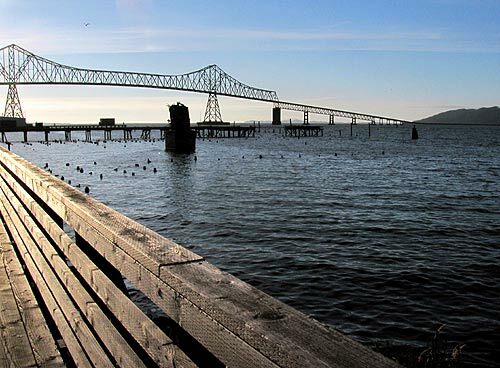 The Astoria-Megler Bridge is often in full view here, and looking straight west or north you'll see huge ships passing along the Columbia River. 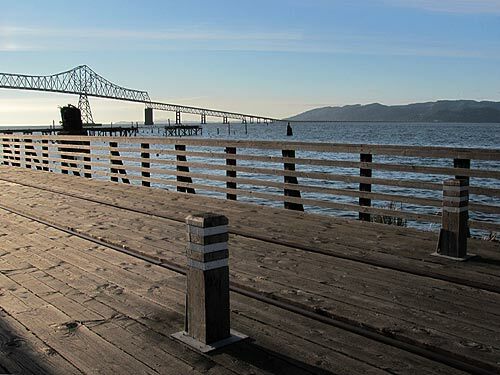 Once upon a time, a massive railroad trestle occupied the Astoria area – one that was almost five miles long, which made it one of the longest railroad trestles in the world at the turn of the century. It was part of a railroad system that extended all the way down to Seaside. 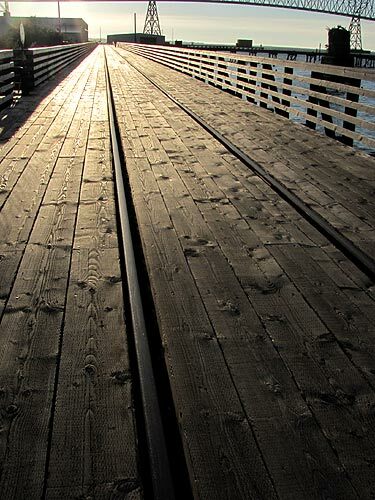 The trestle was interesting because it – like these dockside rails – was built over the water. But after decades of it falling into further and further disrepair, the trestle was dismantled in the 1980's. It wasn't until 1999 when the Astoria Riverfront Trolley went into service that these rails started getting used again. Even then, not all parts were used right of way. Parts were opened up over the years, along with more stops, and now that trolley is a major attraction.